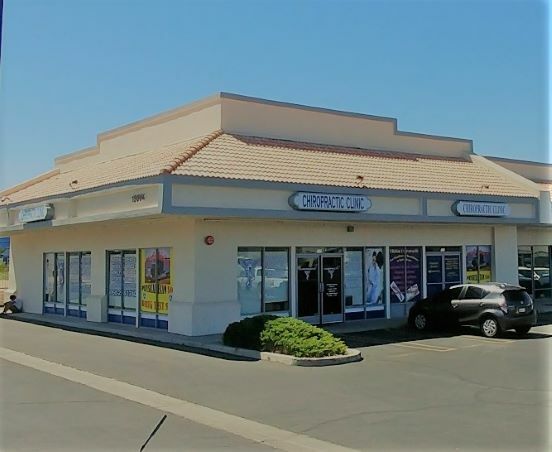 Dr. Stephen Svastits with Advanced Chiropractic Rehab is located at 15664 Main Street #100, Hesperia, CA 92345. We want you to be 100% happy with your care in our office. We are conveniently located just minutes north of Rancho Cucamonga and Fontana. We care for patients in the High Desert cities of Hesperia, Oak Hills, Victorville, Pinion Hills, Phelan, Apple Valley, Lucerne Valley, Barstow and many others. Dr. Svastits is an injury specialist in Auto Accident and Personal Injury cases, along with sports injuries and lumbar spinal decompression. Our state-of-the-art, 3000 square foot medical facility is a clean and comfortable environment which provides a relaxed, professional setting to meet your healthcare needs. Our office has DOT Cerified Medical Examiners to help fulfill your FMCSA DOT Physical and Pre-Emplyment Physical needs. We also perform Random Drug Testing for employers and commercial truck drivers through the FMCSA National Consortium. Our office provides sports physicals for ALL youth sports, at any age and for any school or sports organization. Our fee is only $20 and walk-in's are welcome. Same day service and no waiting! We are open Monday - Saturday to make it easier for you. We accept cash as payment for services. We will customize a treatment plan for your particular injury or condition to fit your budget. Auto Accident and Personal injuries will not require an out of pocket payment for our services until your insurance company has paid your claim or settlement in full. Individuals in need of our services who are worried about the fees that other clinics charge need not worry. We have very affordable rates and have flexible payment plans allowing access to high-quality care for you and your family. We also provide discounts to seniors, disabled individuals, military personnel, students and families.